Rituximab, an anti-CD20 monoclonal antibody causing selective B-cell depletion, is used for various systemic inflammatory and autoimmune diseases (SIADs). Long-term safety data on rituximab are limited. The objectives of this study were to evaluate the long-term safety and tolerability of rituximab treatment for SIADs. A retrospective, single-center observational study including all patients ≥ 16 years treated with rituximab for SIADs was performed. The electronic medical records were reviewed, and data concerning indication and duration of rituximab treatment, prior and concurrent immunosuppressive therapy, and adverse events such as infections requiring hospitalization, dysgammaglobulinemia and end organ damage, were collected. A total of 70 patients were included, with a median treatment duration of 54 months, ranging 30–138 months. 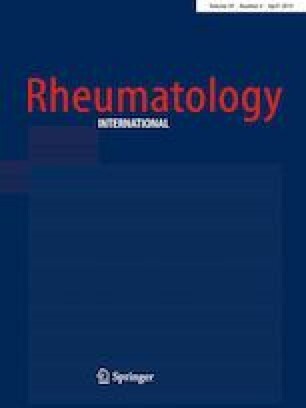 The most common indications for rituximab treatment were granulomatosis with polyangiitis (22.9%), primary Sjögren’s syndrome (20.0%) and systemic lupus erythematosus (14.3%). Infections and persistent dysgammaglobulinemia were the most common adverse events, occurring in 34.3% and 25.7%, respectively. A total of 64 infections were observed in 24 (34.3%) patients, including 1 case of fatal infection. Seventeen patients performed B-cell quantitation during the first 2 years following discontinuation, of which only four (19.0%) demonstrated B-cell reconstitution. End organ damage occurred in two patients, presenting as pyoderma gangrenosum and interstitial pneumonitis. No opportunistic infections were observed. Three patients died during the observational period, of which one was due to lethal infection. This study presents observational data with long treatment duration. It demonstrates that long-term rituximab treatment is relatively well tolerated, and that no cumulative side effects were observed. The authors would like to thank Professor Einar Kristoffersen for permission to use the data from immunophenotyping performed at the Department of Immunology and Transfusion Medicine, Haukeland University Hospital, Bergen, Norway. JV has received honorarium from Novartis for participation in advisory board. RO has received honorarium from Roche for lectures and participation in advisory board.